Producing 1.5 million liters of wine a year from 250 hectares, there is little that is small about the family winery of Espelt. The last time we were there was about five years ago in 2007 when they were a good deal smaller. But, that year marked a number of big changes and expansion for them which including buying an old cooperative in the nearby village of Rabós as well as an old estate in the neighboring town of Roses called, Coll de Roses. These two vineyard additions brought in a significant amount of new grapes to their production. 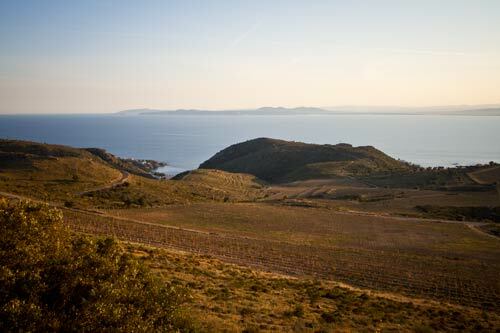 But more importantly, they gained decades-old vineyards with grapes grown on the mountain soils. These areas yield less grapes, but the grapes they provide are more robust and flavorful than in other areas due to their literal struggle to produce. While they’re blending most of them in to the current production, this allowed them to create the Coll de Roses label of grapes sourced from those vineyards which are both organic and surround the old home that they’ve turned in to a winemaking museum. When we first arrived, the winery director, Xavi took us up above the winery on a hill that has an old stone home owned by the winery as well as the only surrealist discotheque in the world, the later of which is not owned by the winery. 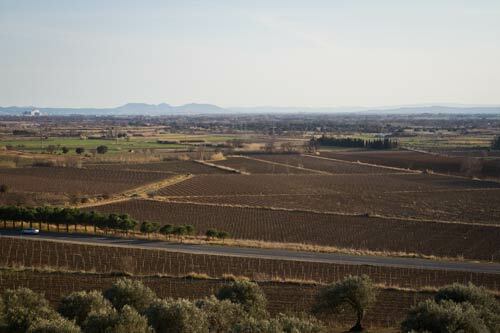 The view from the hill was fantastic and a great vantage to see across the Empordà plain and out to the sea with all their vineyards and olive trees (of which they have 40,000 now). From there, it was up to terraced fields of Coll de Roses. We popped in just as the sun was setting which made for the incredible view you see above. It also annoyed the “tourist” cows from the Pyrenees that graze the lands during the winter, but we did our best to leave them alone while taking is all in. 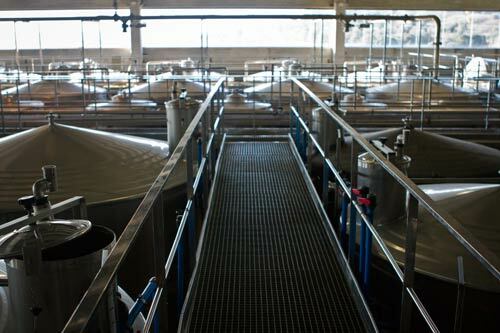 Once we were done sightseeing, we went back to the winery and tasted their whole line of wines. How were they? You’ll apparently have to read our Empordà guide to get the entire breakdown as well as information on all the other events that the Espelt gang puts on. Despite their size, they’re still able to put out a personal touch on their winery.